Here’s a way to do a very nice building plaque for not a lot of money. We print directly onto 1/4″ Sintra, and you bolt it to the building . Done. 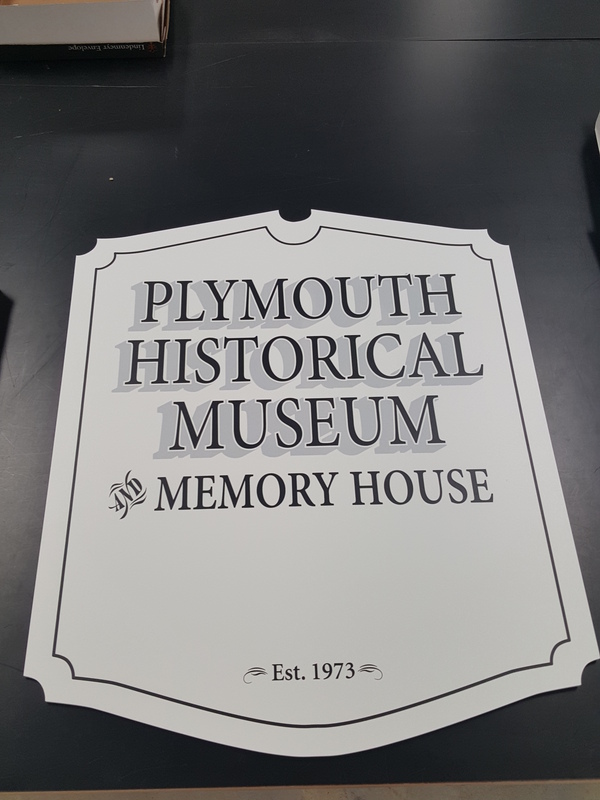 In this case we have used our computerized die cutter to do a nice old time shape. A few mounting holes and stainless steel bolts and up it goes. Our vendors tell us the inks are good for 3-5 years, and we’ve have signs of this material up now for over 5 years, and they look like the day they were made. We can turn around something like this in a few days. Call for a quote! This entry was posted in Flatbed printing and tagged building plaque, building signs. Bookmark the permalink.